The agenda planner templates can help you to organize your agendas and prioritize them as per their importance. They also help you to plan your routine on a monthly or yearly basis.You may check School Agenda Templates. This template is just right for you to plan your special day that will be hosting special events such as an important meeting or maybe a conference. This agenda planner template has been so designed that it can maintain important details of the time when the event is to be held, the details of the event and other aligned details. This particular agenda planner template helps you to write down and maintain all the details of the various events that will be taking place for the particular day. The template also offers the feature of recording the names of the people who will be playing key roles in the event. It helps you to main the records of the particular of the events that are to take place on the day. This template offers a very neat and clean backdrop that is perfectly suited to maintain the records of the corporate event such as a conference or a seminar schedules. 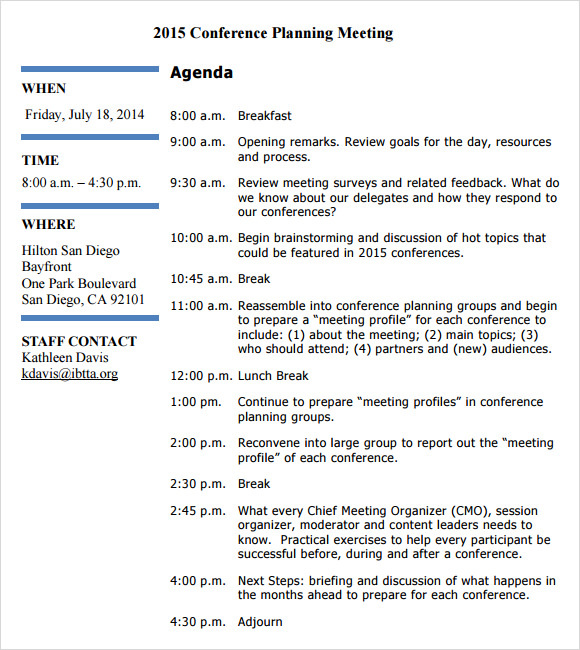 It provides different sections that will be recording various meeting agendas. There is space for recording the details of more than one category of meetings and discussions. 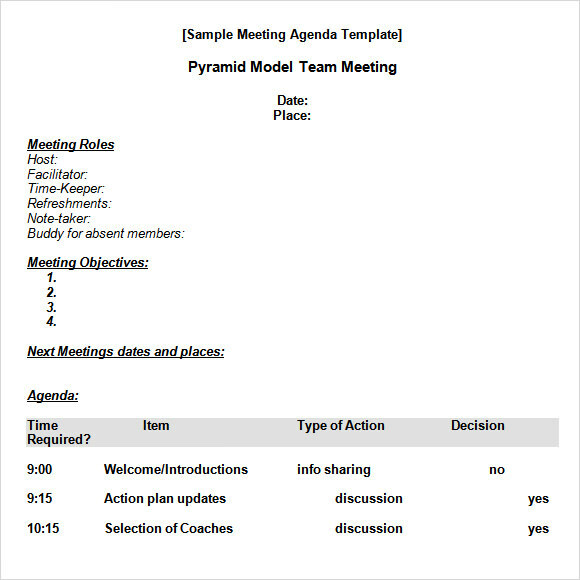 This template is perfectly suited to record the various details and information that have been discussed and shared in a meeting. 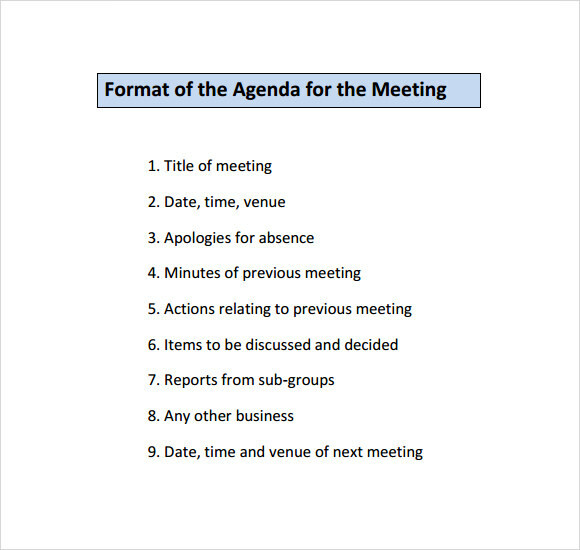 This template offers the best format that can record all the important details that have been discussed over a meeting. The template has been so planned that it furnishes a format that is perfectly suited to write down the minute findings of a meeting. This particular template has a very neat and clean look to it and is best suited for corporate purposes. 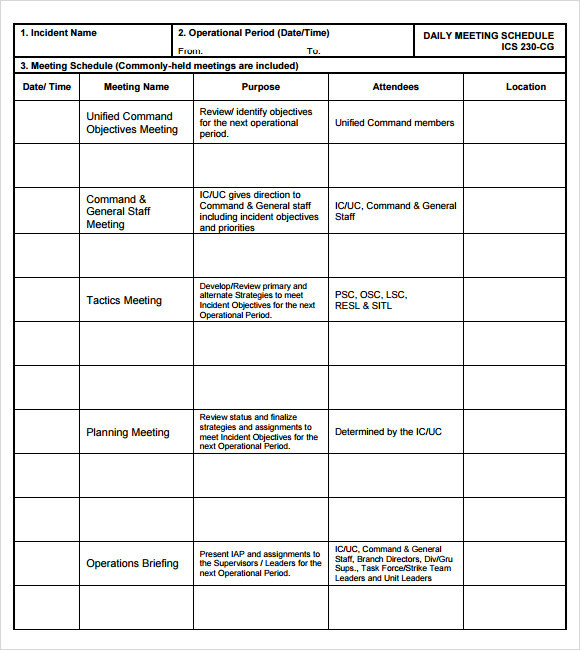 The template offers a format that can offers various information such as the title of the meeting, the date, time and also the venue of the meeting. It also furnishes a note of apology for absence. Very effective choice for making notes on the various details that are associated with the arrangement of a meeting, the format of the template offers details pertaining to the date and time of the meeting, the purpose of the meeting, the name of the meeting, the particulars of the attendees etc. What is an Agenda Planner Template? An Agenda Planner Template is the perfect tool for a corporate employee to pan his day or to write down the important points and agendas that need to be covered and attend during the course of the day, or the month or the year. 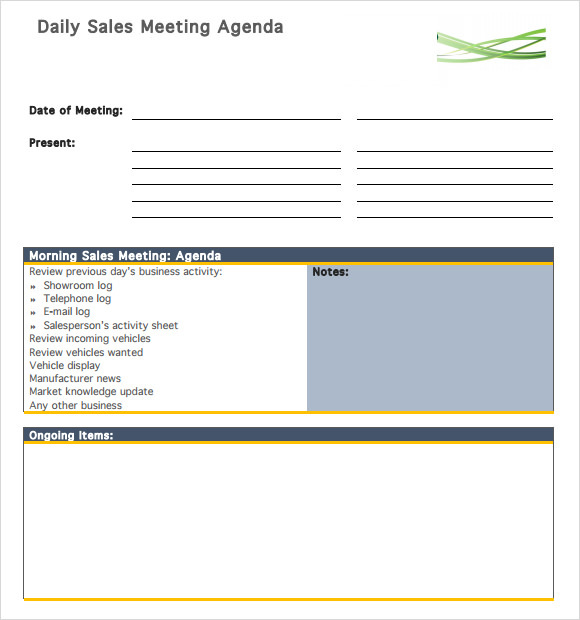 These agenda planner templates can be really useful if you are planning to create a format for your day of a seminar, conference or other important corporate events. How to Create the Agenda Planner Template? In order to create your own agenda planner template, decide on what is the time span that your planner will cover. Whether it will be on a daily basis, or weekly or monthly. To begin with you can create your planner on a daily basis. First, you need to decide on your working hours and then create the required number of columns that will be indicating at the time frames that you will a lot for each category of work. There also has to be a column that will indicate the status of the work and a follow-up column that will indicate the further action that is required for the particular type of work.You may check Board Meeting Agenda Templates. You can become extra productive. You get a grasp of all the works that needs to get done. You get a better idea of the pending issues to be attended to. 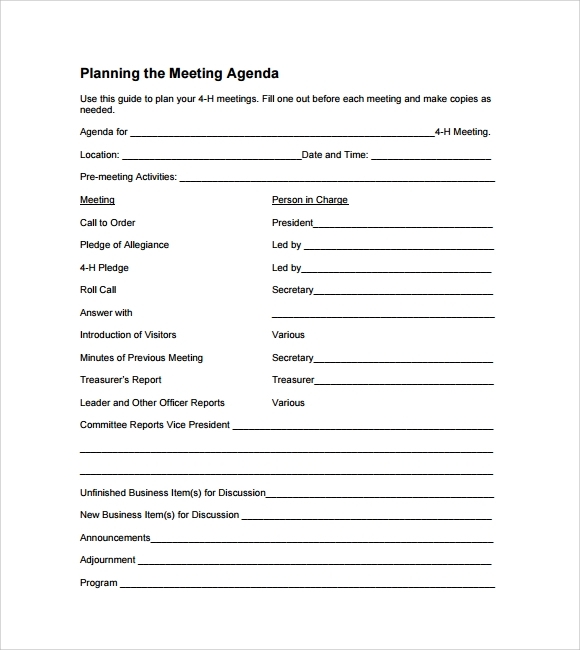 These templates can prove to be very useful to write down and record the important aspects and points of a meeting so that you can have at a single glance all the important points of the meeting. Be it a daily meeting or a specific conference, the purpose of setting priorities in the meeting schedule is served effectively.